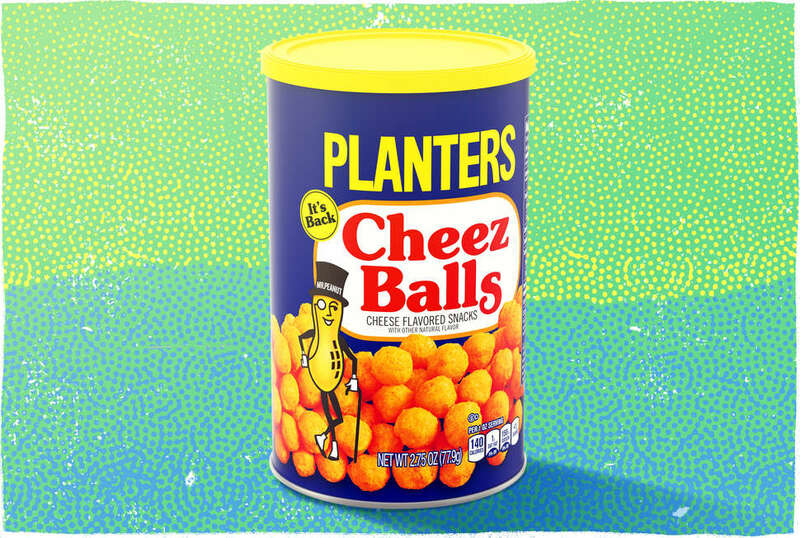 Right-thinking snack aficionados everywhere rejoiced this week with the news that Planters will right a terrible wrong from 12 years ago and bring back their beloved yellow-topped canister of Cheez Balls in July. Their Cheez Curls are also making a comeback. Cheez Curls are fine. But here's the thing -- lost in the understandable excitement in anticipation of once more having the opportunity to pop open a canister of these gloriously cheesy orbs, eat a bunch, put them away and lick the orange dust off of one's fingertips while deciding "whatever I might as well just finish them" is a devastating bit of fine print: this engagement is for a limited-time only. Indeed, Planters giveth, but as we learned the hard way over a decade ago, they also taketh away. We can't be expected to go through that again. Not when we already lost Dunkaroos. So as I ponder an impending update to our 100 Greatest Snacks of All Time, I implore you: eat SO many Cheez Balls this summer. If you're trying to be nutritionally virtuous I'm sure they are capable of providing a zesty crunch in a salad or whatever. I'm no economics professor but the snack food game is rough these days, and I have to believe that so long as Cheez Balls are flying off the shelves the good people at Planters will keep giving the public what they want. To be clear: Planters has had no involvement in this story. I am just trying to keep America from going back to a Cheez Ball-less existence. And don't start talking to me about Utz Cheez Balls. Utz is fine. They are not the same thing though. Look how happy these '80s people are! America indeed deserves to have a ball. But not for a limited time only. We can do this. Senior food editor Matt Lynch is also excited about the impending return of Bonkers. Follow him @MLynchChi.